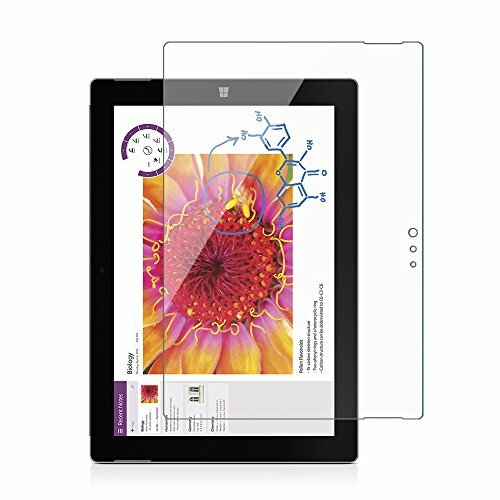 If your tablet is Microsoft Surface 3 10.8-Inch, please rest assured that this screen protector will fit your tablet perfectly even though the label on the package only says "Sparin Surface 3 Screen... Surface Pro 3 12-Inch]". And we have updated our label notes in the next batch of products. Very sorry for this inconvenience caused you. 9H harness tempered glass, much stronger than normal pet plastic screen protector, can effectively protect your tablet from crash. Precise cut and design, fit your Microsoft Surface 3 10.8-Inch tablet's screen perfectly. For easier to install this Surface 3 screen protector, we specially create installation guide video. please refer the video information in the user manual. If you have any questions about this product by SPARIN, contact us by completing and submitting the form below. If you are looking for a specif part number, please include it with your message.